The Juicy Fruit Progressive Pub and Grill will hold a Balloon Night Promotion every Thursday. 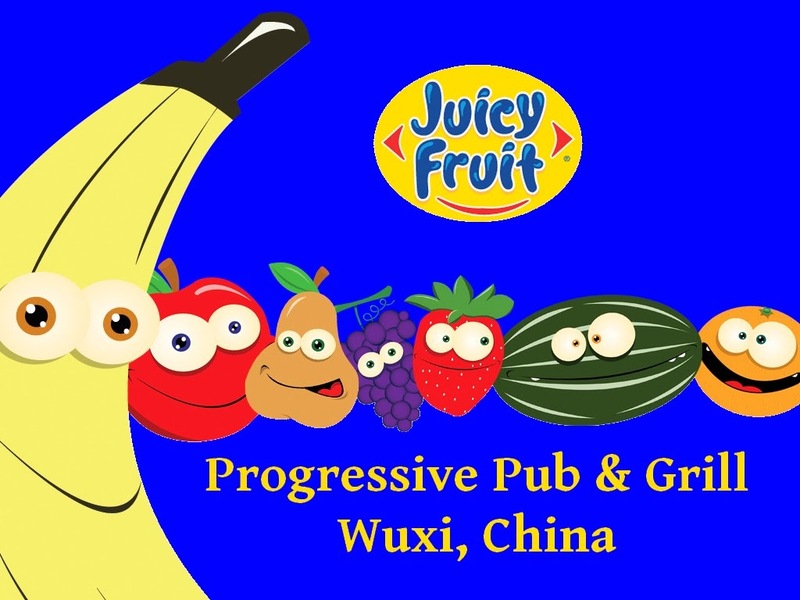 Juicy Fruit’s Owner Wally Droop, who has recently taken over the pub, told the Wuxi Expat site Wuxi City Manual about the promotion. “Get a free balloon with every purchase of a large mug of Snow Beer or Tiger Beer on tap. Buy a large mug of more expensive foreign brand and you will get two balloons! These balloons feature the Juicy Fruit logo and come in five colors: Pink, Yellow, Purple, Lime Green or Beige. And if you want, I will even blow them up for you. I have become a pretty good blower through the years. Ha ha ha!” said Droop. This entry was posted in Uncategorized and tagged balloon night, juicy fruit, wally droop, wuxi expat pub. Bookmark the permalink.